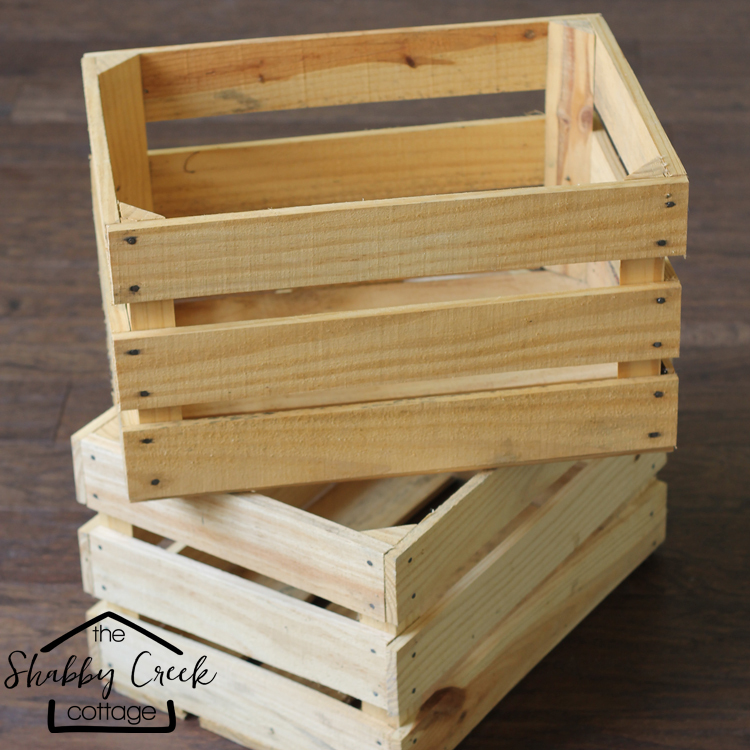 Have a wood crate or two hanging around your house? Then you can make this project in only a few minutes. I think start to finish the whole thing took around 20 minutes – so that’s about the fastest furniture piece I’ve ever built! I found these at our local produce market for dirt cheap, and I’ve seen similar ones at flea markets, etc. With only a few minutes and a few supplies, you can make your own wood crate rolling cart. Start by stacking up the two crates one on top of the other. If you prefer one up or down, just know that this is turned upside down to start. Pay close attention to the side you choose to go up so it’s the one you want. 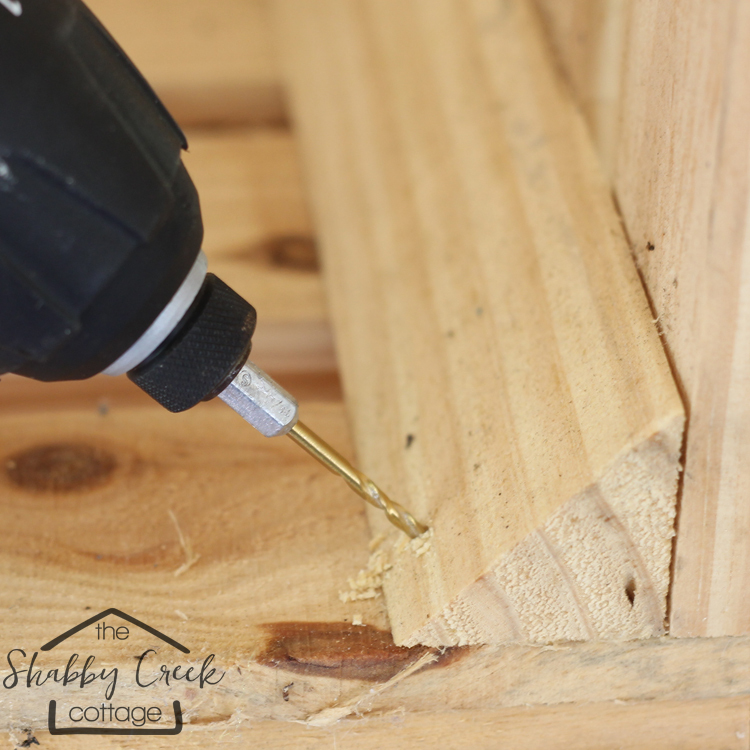 Next, drill into both the front and back corner of each side. This gives it a pilot hole. 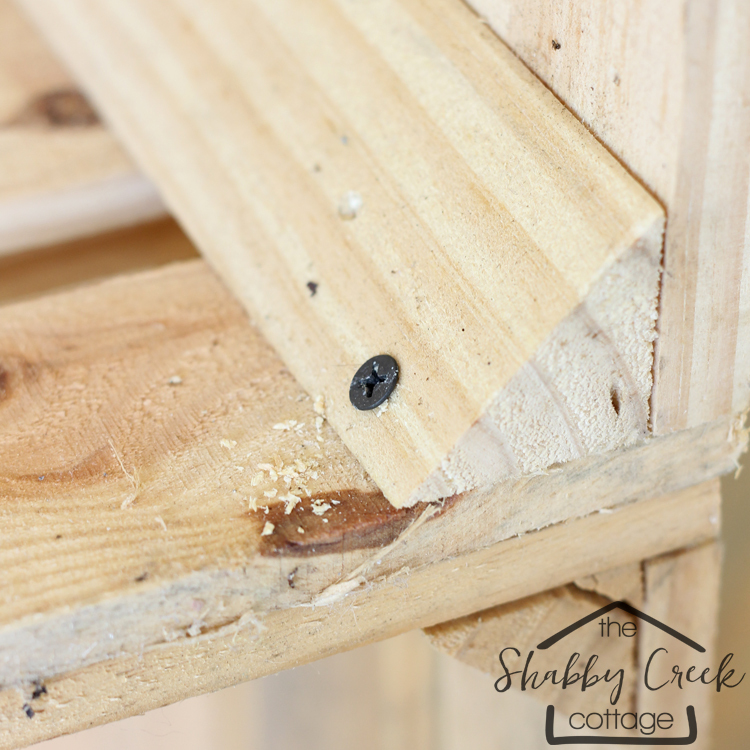 Next, use wood screws to attach the two crates together. Next place the casters in each corner, then mark the holes. 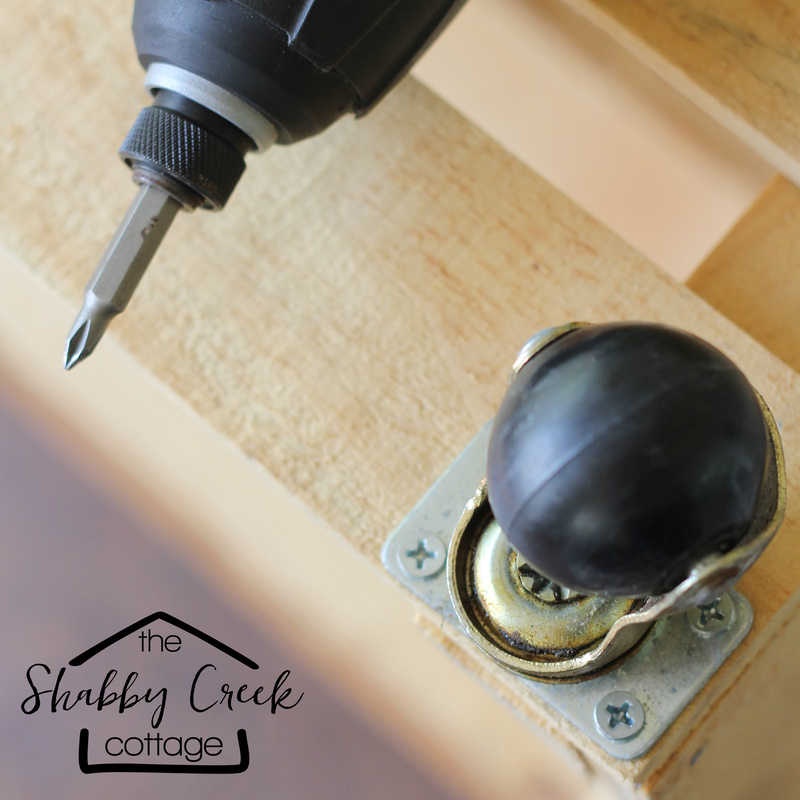 Drill a pilot hole, then attach them with screws. Then flip it over and you’re done! See, I told you making a wood crate rolling cart was easy! As for mine? It’s going in my new office! 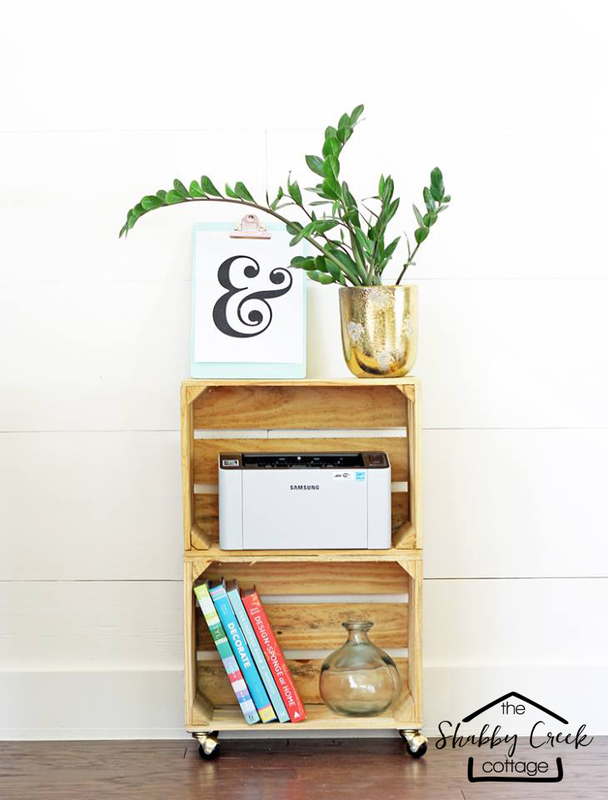 It’s the perfect way to reuse a wood crate into something functional that I will use every day as our printer cart. The spaces in the back give plenty of room for cords to feed through, so this will be a daily used cart in our office. 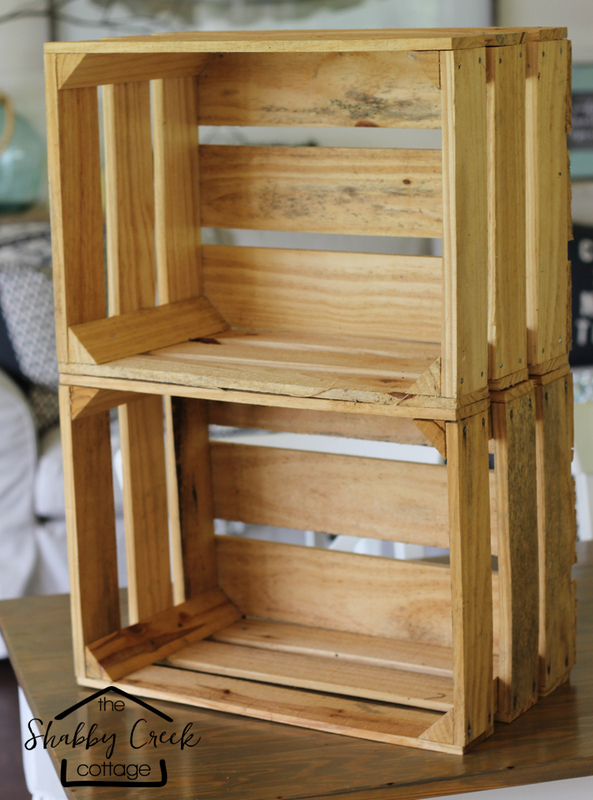 Have you ever made anything from an old wood crate? I love wood crates and this is a great idea. By the way, I love the color in your hair. I wish I was brave enough to do that. Aww, thanks so much Anita 🙂 Try with a temporary dye first to see if you like it! Wow, what a great blog. You give so many great ideas, where to get them – more info than any other blogger’s site I’ve been to. Thank you so very much, Gina!! You’re the best.